KNOXVILLE, Tenn. – Tennessee football head coach Jeremy Pruitt announced the hiring of Jim Chaney as offensive coordinator on Wednesday. 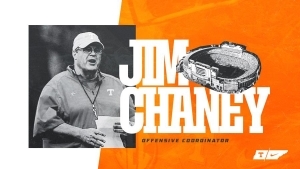 Chaney, a 34-year veteran of the coaching ranks, returns to Rocky Top, where he served as the Vols’ offensive coordinator and quarterbacks coach from 2009-12, following impressive stints coordinating the offenses at Georgia (2016-18), Pitt (2015) and Arkansas (2013-14). He also has experience as an assistant coach with the St. Louis Rams (2006-08) and as the offensive coordinator at Purdue (1997-2005) and Cal State Fullerton (1988-92). “I’m thrilled to announce Jim Chaney as our offensive coordinator,” Pruitt said. “Jim couldn’t be a better fit for our program at the University of Tennessee. His track record of success guiding offenses speaks for itself from his time at Purdue with Drew Brees to his time in the NFL and his success in the SEC at Georgia, Arkansas, and, of course, previously with the Vols. Chaney replaces Tyson Helton, who was named the head coach at Western Kentucky in December. Led by New Orleans Saints quarterback Drew Brees, Chaney-coached players are featured prominently throughout the NFL and include Browns running back Nick Chubb, Patriots running back Sony Michel, Ravens running back Alex Collins, Bengals wide receiver Tyler Boyd, Patriots wide receiver Cordarelle Patterson and Dolphins’ offensive linemen Travis Swanson and Ja’Wuan James, among several others. Since returning to the college ranks in 2009, Chaney has coached 27 NFL Draft picks and 11 1,000-yard rushers. He also has seen all five of his draft-eligible starting quarterbacks get drafted or make an NFL roster. Chaney’s offenses led the SEC in fewest sacks allowed over three straight seasons from 2012 to 2014 at Tennessee and Arkansas. Tennessee had 12 offensive players drafted from Chaney’s previous stint with the Vols from 2009-12. He served as interim head coach for the season finale in 2012, a 37-17 victory over Kentucky. 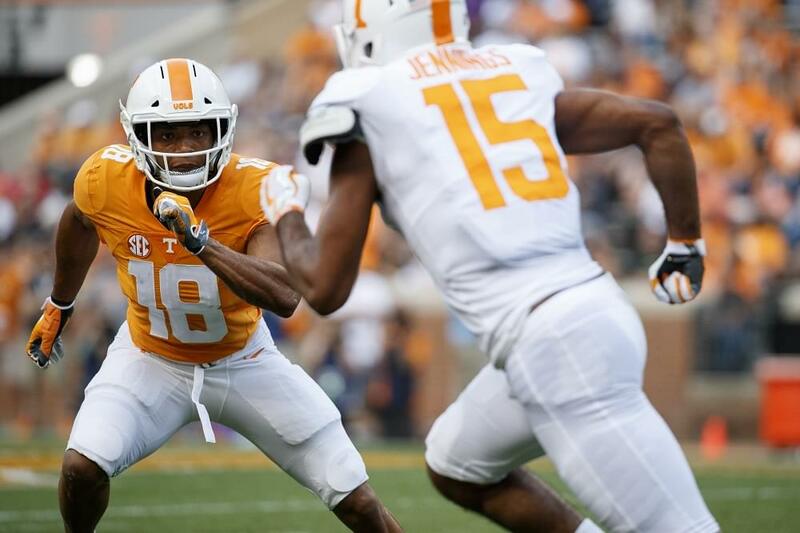 In 2012, the Vols averaged 475.9 yards per game – the second-most in school history and the second-best mark in the SEC that season, while scoring 36.9 points per game. Quarterback Tyler Bray passed for 3,612 yards and 34 touchdowns and broke Peyton Manning’s single-game school record with 530 passing yards against Troy. Most recently, Chaney guided Georgia to some of the most prolific offenses in Bulldogs’ history, coaching quarterbacks in 2016 and 2017, and the tight ends in 2018, in addition to coordinating the offense. Georgia led the SEC in rushing in 2017 (258.4) and 2018 (238.79) and had four different players eclipse 1,000 yards rushing over the two-year span. Georgia set school records in rushing yards (3,876) and rushing touchdowns (42) in 2017. Georgia won the SEC and advanced to the College Football Playoff Championship in 2017 with a true freshman at quarterback in Jake Fromm. The Bulldogs went to a second consecutive SEC Championship game in 2018 and appeared in the Sugar Bowl, while ranking second in the SEC in scoring (37.9 ppg) and averaging 464.4 total yards per game. Chaney has found success at every stop in his collegiate coaching career. During his nine seasons as the offensive coordinator at Purdue, Chaney’s offenses ranked in the top 10 in the nation in total offense six times and led the Big Ten in passing five times. In 2000, Brees led the NCAA in total offense and received the Maxwell Award as the Boilermakers won the Big Ten and earned a berth in the Rose Bowl for the first time in 33 years. Chaney also helped Pitt go 8-5 and developed future NFL Draft pick Nathan Peterman at quarterback in 2015, and he guided an Arkansas offense, featuring a pair of 1,000-yard rushers, that averaged 31.9 points per game in 2014. Before his first stint at Tennessee, Chaney was an assistant with the Rams in the NFL for three seasons, coaching offensive line and tight ends. Chaney broke into coaching at Cal State Fullerton in 1985 and served in many areas, including offensive coordinator before a stint at Wyoming, where he was the offensive line coach and recruiting coordinator in 1995 and 1996. A native of Holden, Mo., Chaney earned his bachelor’s degree in physical education from Central Missouri State University in 1985 after a career at nose guard. He earned all-conference honors as a senior. Chaney and his wife, Lisa, who hails from Rock Springs, Wyo., are the parents of daughters Elizabeth and Sara.